History: Bersham Colliery was one of the most important in the Denbighshire Coalfield during the late nineteenth and twentieth centuries. It was first sunk in 1867 but was substantially adapted and re-built in both the 1930s and the 1950s before closing in 1986. The headframe was installed on the site in 1935. A steel lattice girder headframe with four near-vertical legs and two shear legs bracing it on the engine house side. The lattice girders are joined by rivetted plates. The two sheaves are still in place, together with braces above. Steps up one of the shear legs give access to a platform around the sheaves. The shaft has been capped. 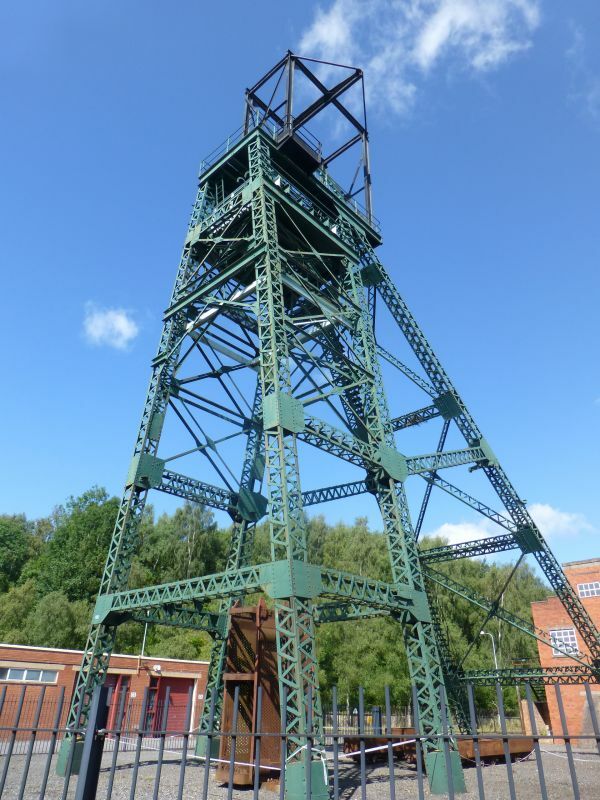 Listed grade II* as a rare surviving colliery headframe, the only one remaining in the Denbighshire Coalfield, and for group value with the buildings of Bersham Colliery.